15th August 2010. Bolsover: This will probably be my last UK jaunt and I wanted to go out with a bang! 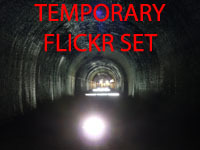 I couldn't think of anything more appropriate than my local buried, collapsed, dodgy, dangerous tunnel. Having heard that access was possible John and I headed off to see and in we got... We did about half a mile of the tunnel from the east end but were forced to turn back by a pair of collapses which blocked our way forward. I have never been muckier, muddier and wetter than the end of this day. It was great! 9th August 2010. 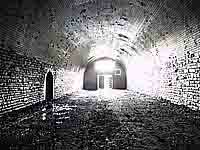 Sneinton: I sent a speculative email to a shooting club in Nottingham asking about Sneinton tunnel. A few weeks later I received a reply from the secretary of the Association of Nottingham Shooting Clubs who very kindly invited us to have a look around. John, Phil, Fatna and I spend a very interesting and enjoyable hour mooching about and snapping photographs. Inside there are two smaller shooting galleries for small arms as well a the main range which utilises the bulk of the tunnel's 128yds. 10th July 2010. South Wales, Valleys 2: Another Phil Langham led expedition. Did Cymmer and Maesteg amongst others. These two were a bit muddy..! John rang at 3am to say he couldn't make it. It was the following evening before we found out why he had dropped out... His fish was poorly - honest! 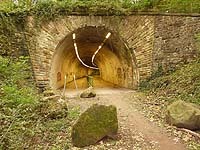 It was hot and sticky weather which seemed to result in the tunnels having their own internal weather systems! There was a lot of moisture (clouds) in most of the tunnels. Thanks for another good day Phil. 2nd - 5th July 2010. Scotland: I spent a week planning this one. 50-odd tunnels stored on my SatNav with supporting maps on my laptop meant that I could go from tunnel to tunnel quicker than ever before. Day one took in 15 tunnels including Whitrope, Ladhope and Broomieknowe. Day two included a late start but I still managed 11 including Botanic Gardens, Balgray and Stobcross Depot. I managed just 8 on Day 3 but these included the big one under London Road. I did thirteen on Day 4 including Bowling, Balwhirley and Union Street. 6th June 2010. South Wales, Valleys: Phil Langham had put together an itinery and I just went with the flow. I am not as familiar as I should be with South Wales' tunnels, I have left it alone because it is such a big project! I always intended to do it in one big hit by researching for a few weeks then getting down there for a week or two. However, It doesn't look as though I'll get the chance now that I am off to Oz so I jumped at the chance to be ferried around after someone else had done the research. And Rhondda...! 28th May 2010. Cumbria: John and I visited quarries in Rowrah and Shap where we found some strange and interesting things... We tried digging into the 'Big Tunnel' (aka Bobbin Mill, Brigham Forge, Threlkeld). We got in! There is an 18 inch crawl space on top of the infill but the surface is very rough. It could be done commando style (and I don't mean with your pants off). In fact I'd have another go myself - anyone fancy it? On the way home we detoured via Garsdale to Mossdale tunnel which turned out to have a dodgy roof! 3rd March 2010. Farnley Scar (aka Corbridge): Me and John again. 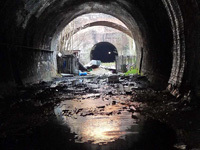 We heard that Network Rail had applied for planning permission to infill the Grade 2 listed Corbridge tunnel. The listing refers to the east and west portals individually. 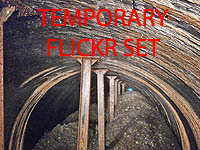 The tunnel has always been overly problematic for such a short tunnel (170yds). 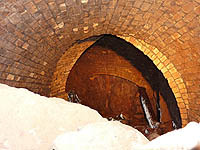 It was finally taken out of use in 1962 when a deviation was opened around the tunnel. We also nipped into Preston on the way down the M6 so I could do Fishergate (John did it years ago). 9th - 11th December 2009. West Yorkshire Tunnels (2): I cleared off to West Yorkshire for a couple of days (via Wirkington!). Finally got in some of the bread and butter tunnels that John had done years ago, i.e. 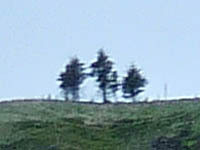 Queensbury, Clayton, Wheatley, Well Heads, etc. Left Gildersome for another day as it will take me a long time to wade through the mire on my own! Also didn't get to Lees Moor but I have done the main long ones now. Finished at Fulneck Girls School...! 25th - 27th November 2009. Liverpool (3) and Manchester Tunnels: Couple of days in the NW on my own. Loads of new tunnels. Finally got round to doing Victoria and Waterloo tunnels. Was extremely pleased to find that Throstle Nest 3 and 3A have survived the Tram extension works, albeit filled in to 3 feet from the apex. Walked through Queens Road as well - used the workers scaffolding to climb down - thanks lads! 24th - 26th October 2009. 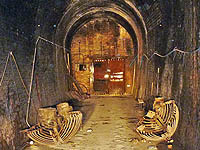 East and West Midlands and Highgate Tunnels: We went with Wolverhampton Low Level in mind but little hope of getting in - we did! Also did Bridgnorth, Oakamoor and a couple of tramway tunnels/long bridges. I then headed for London on my tod on the 26th to have a look at Highgate and Dalston. Did all four at Highgate but missed the boat at Dalston due to East London Line extension works. Oh and we did Glenfield which just happened to be open one day!! 3rd October 2009. 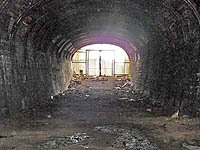 Oldham Tunnels: Went to look at the, erm, closed tunnels immediately after the last train. Also filled in a couple of gaps in the Manc area: Brinnington, a long bridge at Didsbury, a scout round Throstle Nest in the dark, a look along the Salford Dock branch, and finally Hayfield on the way home. A few beers at Fat Daz's was good as I wasn't driving for a change.